It is not uncommon for landlords in Philadelphia, PA to be sued by their tenants. If the landlord has insurance they may refer this claim to their provider. If the landlord does not have insurance, they may have to opt to retain an attorney to defend the claim. There are multiple strong defenses to a slip-and-fall claims that occur in the course of a landlord tenant relationship. Below I highlight a few considerations a landlord should weigh in deciding whether to settle or fight a Tenant lawsuit. In most landlord-tenant cases, the landlord has a duty of reasonable care to the tenant. The tenant is at the property with consent of landlord, and therefore may be considered a licensee for legal purposes. Pursuant to Pennsylvania law a landlord may be liable for injuries caused on his property where he is negligent. In order to establish negligence, Plaintiff will be obligated to prove duty, breach, causation and damages. While a landlord has a duty to a tenant (as a licensee) to exercise reasonable care, the Plaintiff may have to establish knowledge of the dangerous condition. For example, if tenant causes affirmative damage to landlord’s property and does not inform landlord, landlord may not be responsible for an injury sustained on the damaged property. See e.g., Villano v. Security Savings Associates, 268 Pa. Super. 67, 407 (1979). If landlord is aware of a dangerous condition, or should be aware of a dangerous condition, he must exercise reasonable care to remedy said condition or may be considered negligent. Even if the landlord was aware of the dangerous condition, or should have been aware of said condition, the Plaintiff must establish causation. Simply stated they must prove that “but for” Landlord / Defendant’s negligence the incident would not have occurred. A plaintiff may have a legal obligation to “realize the condition and take appropriate action to defend himself against it.” See e.g., Carrrender v. Fitterer, 503 Pa. 178 (1983). A Defendant Landlord may argue the accident was primarily the fault of the Tenant, and/or that even if they have exercised reasonable care they incident may have occurred. If Plaintiff cannot prove causation or is found to be comparatively negligent then recovery may be barred under Pennsylvania Law. Speak with an attorney about whether it may be appropriate for a landlord to challenge causation or assert comparative negligence in defendant a landlord and tenant claim. “Never Say Settle” – Speak with an attorney before agreeing to an out-of-court settlement with Tenant’s counsel for ANY compensation. In some landlord and tenant cases, there may be landlord negligence without damages. For example, if landlord is aware of a dangerous condition and does not remedy said condition, and the tenant is injured then landlord may be liable. However, if the injury is insignificant the landlord may be able to argue no damages. In order to recover against a landlord the tenant must prove by a preponderance of the evidence that they suffered injuries that warrant monetary recovery. If a tenant slips and falls on your property due to your negligence, but does not follow-up with treatment or go to the doctor there may not be a solid basis for legal recovery. A Plaintiff may sue a landlord in a personal injury action where there is not a legal basis for recovery. In such circumstances, the landlord should speak with an attorney about filing a motion for summary judgment. A motion for summary judgment asks the court to rule in favor of a party where, “there are no genuine issues of material fact and the moving party is entitled to judgment as a matter of law.” Anderson v. Liberty Lobby Inc., 477 U.S. 242 (1986). For example, if landlord is sued in a slip-and-fall cases but tenant has no evidence to establish landlord know of the cause of the dangerous condition, it may be appropriate to file a motion for summary judgment asking the court to rule for landlord as a matter of law. It may make sense for defendant to send intensive discovery requests to Plaintiff’s attorney during the course of litigation. These requests will garner additional information to defend the claim. The requests will also be a burden to Plaintiff’s counsel, who is often working on a contingency fee. While the purpose of discovery should never be to make the Plaintiff’s counsel work, important information may be gathered to defend a claim during this phase. Often times, Landlords will fold immediately upon receiving a correspondence from a lawyer representing their Tenant. They may agree to an “out of court” settlement for thousands of dollars in lieu of a settlement and release agreement. Often times, unscrupulous lawyers will contact landlords with such offers knowing their case is not viable if it is challenged at trial. Before you may any sort of out of sort settlement with a tenant or their attorney, speak with qualified counsel about the merits of the claim against you. There may be a strong defense to protect you from a predatory claim. 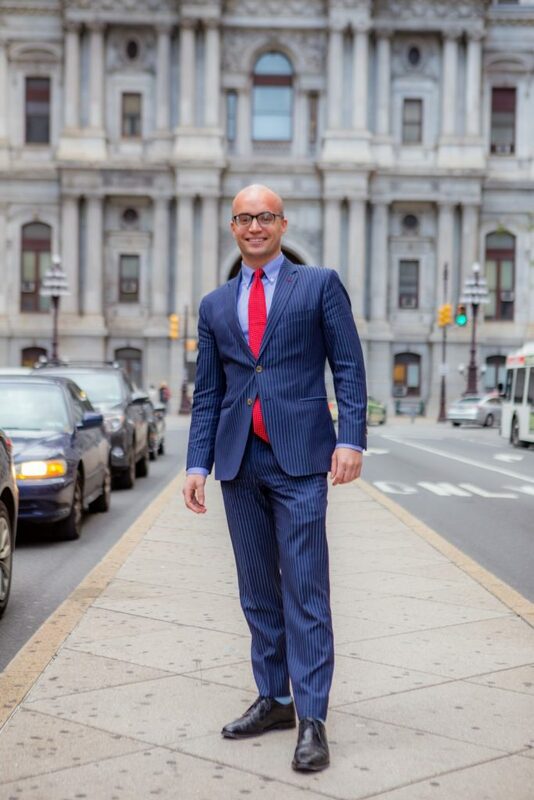 To speak with a Philadelphia Landlord and Tenant lawyer, contact Mark D. Copoulos at 267-535-9776.